Through a federal grant awarded to CareerSource Central Florida (CSCF), Valencia College will provide English language courses and community orientation workshops to citizens displaced by Hurricanes Maria and Irma. CareerSource received the $6 million National Dislocated Worker Grant in April 2018 to provide underemployed citizens who are new to the region with services to help them succeed in the local workforce. In partnership with area institutions, such as Valencia College, the grant will provide recipients with individual career consultation, job placement and increased access to English for Speakers of Other Languages (ESOL) services. Since signing an agreement with CareerSource Central Florida on July 9, 2018, Valencia College’s Continuing Education division has provided orientation workshops to 32 newly-arrived professionals at Career Source’s Osceola County location. At the day-long workshops, students receive information on local resources including: transportation options; financial advice; K-12 education opportunities; support from the Hispanic Chamber of Commerce; and a number of accelerated skills training programs offered at Valencia College. Additionally, 30 students have received scholarships to cover tuition and book fees for the college’s Intensive English Program (IEP). Program directors hope to improve language skills for professionals who already have prior certification in certain fields – particularly nursing and education – while, at the same time, addressing regional shortages in the workforce. 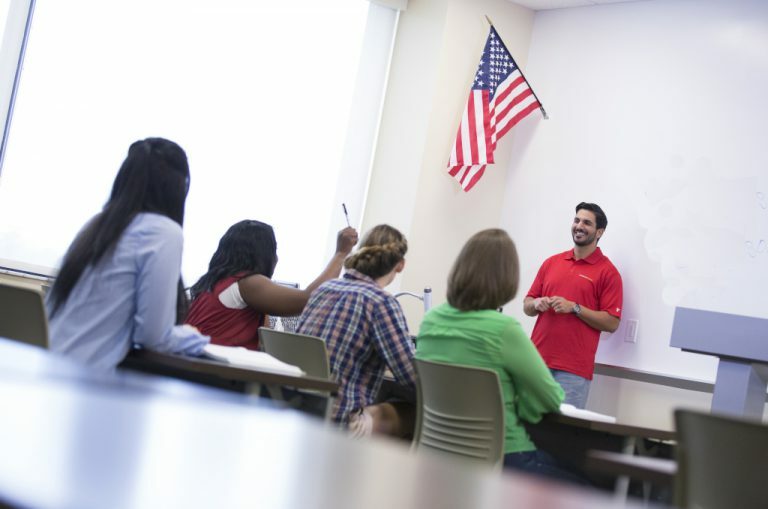 Valencia College offers its Intensive English Program in nine levels of proficiency, from low beginner to high advanced. The day-long sessions take place at West and Osceola Campuses, and each term lasts one month. Individuals enrolled in the program through CareerSource are eligible for tuition support covering two terms, with the opportunity to re-apply for aid at the end of this period.